Does molasses iPhone 7 syndrome sound familiar to you? Perhaps you are among the few iPhone 7 users who are yet to encounter this problem. The aforementioned syndrome is much common among iPhone 7 users, and it defines any iPhone 7 that lags when accessing SMS or Text application, experiencing a long pause before displaying your contacts when you click on contact app, or blanks our when you select the contact letters. Method 2: Factory Restore iPhone 7 via iPhone "Setting"
iTunes serves several different purpose for iPhone and iDevice users. It can be used in sharing music and media files among devices, it performs syncing functions, it can be useful in backing up files, and it is efficient in erasing iPhone to factory setting. Hence, in order to erase your iPhone to factory settings using iTunes, do follow these under listed steps. Step 1: connect your iPhone to your PC, and iTunes will automatically launch. You may need to type in your passcode to trust your computer. Step 2: Click on your device icon when it appears on your iTunes menu bar. Step 3: go to the summary panel and click on "Restore device". Step 4: Select restore again for iTunes to restore your device and install the latest iOS on your iPhone. Step 5: Your device will restart to mark the end of the restore process. 2 Factory Restore iPhone 7 via iPhone "Setting"
Restoring iPhone to factory settings would wipe out every file and data on your iPhone. Therefore, you may need to backup your files on your PC before restoring your iDevice using the following steps. Step 1: Back up any data you would like to save. Step 2: Open the Settings app and tap the “General” tab. Step 3: Tap “Reset” as you scroll down, then Tap “Erase all Contents and Settings”. Step 4: Enter iPhone 7 Pass code if there is one set. 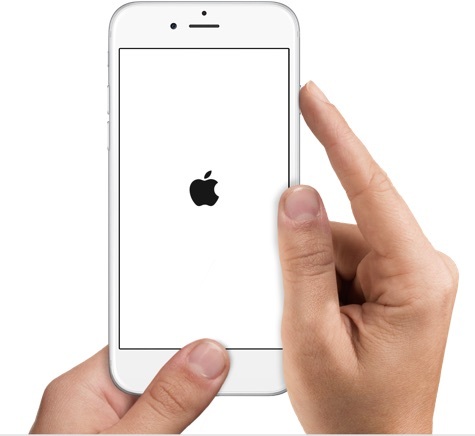 Use the “Erase iPhone” to confirm the reset. Note: The above process of restoring your iPhone is effective in removing molasses syndrome, but what you should pay attention to is that the data deleted by iPhone “Factory reset,” which can be recovery by many recovery software. Therefore, the “Factory reset” can’t assure you that your private data is 100% secure. Instead of restoring iPhone to factory settings, you can also use iMyFone Umate Pro or iMyFone Umate Pro for Mac - professional iPhone Data Eraser to reset your iPhone 7 data according to your needs. It's fully compatible with iOS 11 and also work for iPhone 8/7s/6s/6/5 etc. There are five basic modes, which help you erase your data securely and permanently, and no recovery tool will be able to recover your deleted data. 100% Unrecoverable: Data erased by iMyFone is no longer recoverable even by the best recovery software. Totally Factory Reset iPhone: This is almost the same with “iPhone factory reset”. The difference is iMyFone can promise data unrecoverable while reset not. 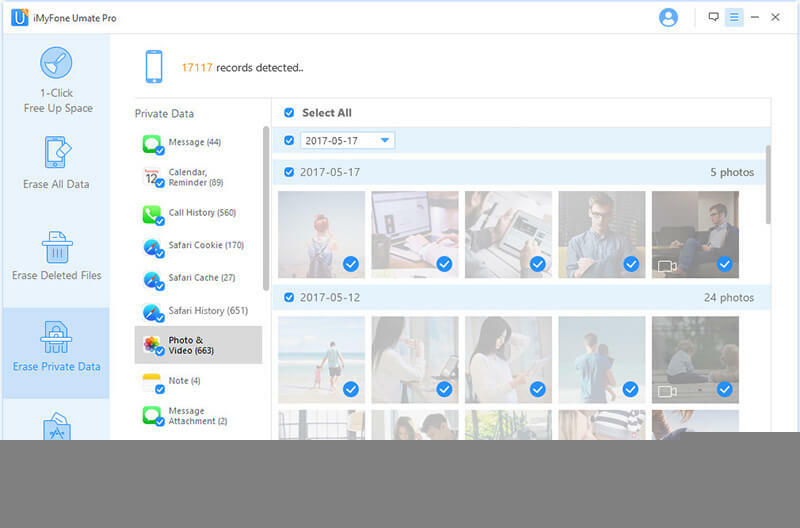 Wipe Deleted Files: Already deleted data on your iPhone will be found out and completely erased so that there is no trace. Selectively Reset Data: All the private data on iPhone will be displayed. You can preview and select data to reset. Erase 3rd-Party Fragments: Any incomplete fragments or traces left behind by Snapchat, Facebook, Twitter, Chrome, WhatsApp and more can be totally removed from iPhone. If you want to restore your iPhone to Factory Setting with iMyfone Umate Pro, you should choose "Erase All Data" to reset all your content and setting on iPhone and make it as a new one. If you just want to erase some sensitive data from your iPhone, then the "Erase Deleted Files" and "Erase Private Data" should be your choice. This program is easy to use, all you need to do is: connect your iPhone 7 > choose the erasing mode > click "Erase now". And it will begin to erase your iPhone data. Protection from identity theft: The key differentiator between data erasure and simple reset is that with data erasure, a meaningless pseudorandom data will be written on every sector of the hard drive making it impossible to recover any data from the hard drive even when using the most efficient data recovery tool. Hence, your identity or linkage to your old-sold iPhone will never be discovered. Government and industry standards: It was discovered from many e-waste centers around the world that many hackers are breaking into disposed hard drives of different devices and recovering contract documents, social security numbers, medical history, classified information, bank transaction details and other personal and sensitive information. Hence, governments of many developed states have mandated that data erasure techniques should be standard for software overwriting, and should be employed to render data unrecoverable.